Name a nonland card. Search target player's graveyard, hand, and library for all cards with that name and remove them from the game. Then that player shuffles his or her library. Gotta spread the mono-black love, so +1 from me. Here are my suggestions for this budget build. 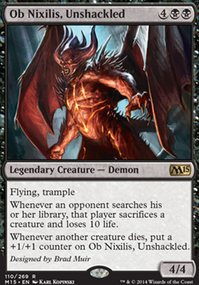 The maindeck seems pretty solid, although you might want to swap out Alms of the Vein with something like Victim of Night so you have a bit more creature removal against decks like Jund. 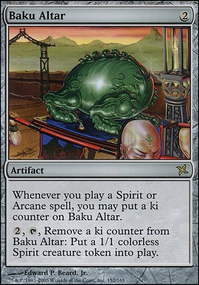 In the sideboard, if you are going to play a 4-mana card that steals something from the game, just play Memoricide or Cranial Extraction that way you don't have to worry about artifacts with Dispossess. Your sideboard seems a bit off, might I ask why we are playing Needlebite Trap? If your worried about lifegain matchups (if thats prominent in your meta), you could play Tainted Remedy. I also think a sweeper or two might be good if decks like affinity are in your meta. 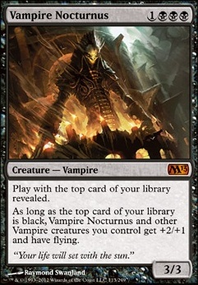 To the Slaughter should be Hero's Downfall in my mind, or at least an upgrade option, if you wanna kill things like Karn Liberated that come up in the top-deck game, make it so that it's good against cards like Bloodbraid Elf as well. Like the build though, and nice touch with Liliana's Caress, let me know how this deck does! Supreme Verdict is not expensive. It just isn't. It would cost you less than ten bucks to replace your two Wrath of God with two verdicts. Just pack a lunch one day. The scry ability for Dissolve isn't really worth the 3 mana cost imo. A good budget alternative I would consider is Render Silent. You've also got a lot of second rate cantrips like Jace's Ingenuity and Sleight of Hand which should be replaced by Serum Visions and Sphinx's Revelation, both of which are reasonable. I'd run four serum and one revelation. Also, having AEtherling as your only wincon makes you really susceptible to removal like Cranial Extraction. I'd diversify your wincons a bit. There's some planeswalkers in your colors that are pretty reasonable, like Gideon Jura or Elspeth, Sun's Champion or even for super budget Sphinx of the Final Word is pretty decent. How about Geralf's Messenger? I know, it is what every other black devotion deck plays, but it's resilient to removal and brings some nice devotion. Restless Apparition could also do as a 3-drop, for pretty much the same reason. Cranial Extraction is not really what you want, I think... the mana cost is too heavy for it to be effective in most games. Not sure that Desecration Demon is a 4-of in this deck. Is it something you always want to draw, also in multiples? I'm not sure how useful those pinpoint discard spells will be late game. Once the opponent's hand is empty, most of your cards are dead. Some discard cards like Brain Pry can replace themselves once the opponent has an empty hand. Or, something like Call the Bloodline or Pack Rat can make your discard spells do something else once the opponent is empty handed. Guul Draz Specter and Reality Smasher are some critters that come to mind when I think of discard, but I don't think Reality Smasher is in the budget at all. Since you're using Liliana's Caress and Abyssal Nocturnus, you might consider Dark Deal to deliver some damage, while still leaving them with cards in hand for a followup Mind Sludge. Don't forget to Dream Salvage or Geth's Grimoire if you do. Replace your Mind Rot with Stupor, if you can. I'd play Megrim over Liliana's caress, since Megrim can damage opponents' planeswalkers if needed, but that's just personal preference. For removal, I'm a big fan of Devour in Shadow. 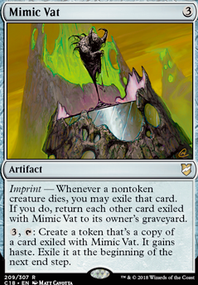 Anyway...for your sideboard, Relic of Progenitus or the cheaper Scrabbling Claws to stop those graveyard hijinks. Either Pithing Needle or the cheaper Damping Matrix can stop some activated abilities. I'd put in some Poor Man's Damnation Barter in Blood, Languish or Consume the Meek to stop critter strategies. To break combos, a card like Memoricide or Cranial Extraction. There are some really weird suggestions here, this thread has me scratching my head. Turn 2: Land, 2cmc rogue, pass. Turn 3: Land, 2cmc rogue or 3 cmc card (you've got a 56% chance of hitting one of your 3cmc cards by turn 3 when you're on the play, so half the time you'll only play a 2cmc card). Turn 1: Land, 1cmc rogue, pass. Turn 3: Land, 2cmc rogue, 1cmc rogue, (or 3cmc card), pass. You end up with 4 creatures in play on turn 3 instead of 2! This is extremely important if you want to get around your opponent's removal (and they all run a lot of it). It will also allow you to cast spells for their prowl cost a lot sooner. Serum Visions is also not a good choice for an aggro deck as card selection is far less important to your plan than having threats. I think the first thing you should do is drop Serum Visions and possibly Morsel Theft or Inkfathom infiltrators for four Slither Blades. I would also consider playing Faerie Miscreant, as it gives you an evasive body with a minor upside. It can block fliers which can sometimes be necessary to staying alive. If you choose to play Miscreant you'd need to play the full four. If you were just going to play 2 and keep the Morsel Thefts then you'd be better off with Triton Shorestalker as previously suggested (Gudul Lurker is terrible though, not close to worthy of consideration). I'd also cut Fireshrieker. I get that it gives you double triggers for combat damage, but it's just too slow! You can't equip it until turn 4, and if someone kills the creature you equip it to then you've just wasted all of your turn 3 mana and half of your turn four mana for no benefit. Cards like Sword of Fire and Ice and Sword of Light and Shadow are far more powerful and don't get played in modern because they don't do anything straight away. I like the idea of a single copy of Earwig Squad. It will usually cost you three mana (especially if you take my advice on bringing in the 1cmc creatures) and it's enter the battlefield effect is very strong against some decks in modern. Ad Nauseam combo only runs two cards as win cons, and storm combo usually only runs three. These decks use different cards to win so that they can't get beaten by stuff like Cranial Extraction, but Earwig Squad doesn't make you choose cards with the same name. If you resolve Earwig Squad against these decks you literally win. It's also a 5/3 on turn 3 which is pretty darn aggro AND it's a rogue! I'm not sure about most of the cards in your sideboard, how did you decide on these? As for suggestions, I would substitute Terror for Doom Blade, which is strictly better and 25c to buy. I also like Faerie Macabre, which is a great uncounterable response to reanimator decks, Snapcaster Mage, Tarmogoyf and Delirium amongst others. It's also a rogue with evasion for the times you don't end up needing to hate on the graveyard. 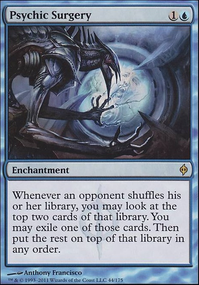 You might also consider Tormod's Crypt because dredge and reanimator strategies are going to be the decks most likely to outrace you. A few Dispel would help nicely against burn decks, Collected Company, Ad Nauseam, Chord of Calling, Cryptic Command and to counter your opponent's counterspells! Having two Negate and two Dispel will help a lot against burn. I would drop Diabolic Tutor, Inquisitor's Flail and Hands of Binding for some combination of the cards I've suggested. IsaacSwan14 This deck has lost before but has always prevailed in matches were it wins at least 2 out of 3 games. 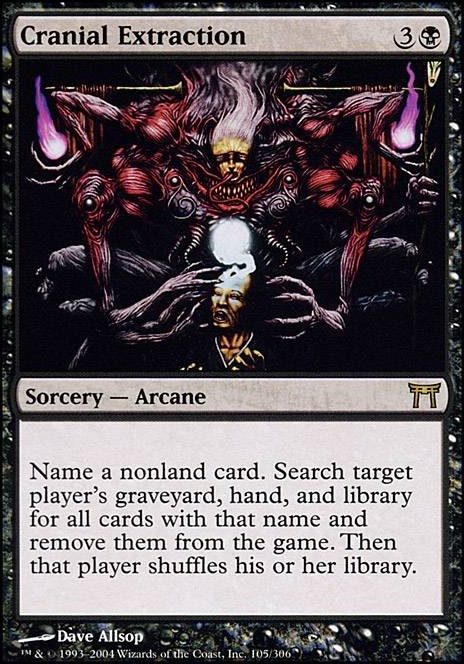 My LGS is a bit sparce on counterspells, however I've found that I have gotten by just fine when I use my sideboard cards such as Cranial Extraction, Thoughtseize and Memoricide to search for them. Hunson_Abadeer Thank you! That's a great upgrade, thanks for the suggestion! ACDAMAN thank you very much for your comment :). I am not the best sideboad builder :P .. but I thought I need something against Planeswalkers. Maybe something like Cranial Extraction is better against known decks. What can you recommend?